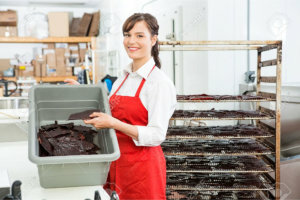 Jacqui didn't want to risk littering her applications with irrelevancies but having work experience to show, any at all, is now a fundamental necessity. At the very least, it shows prospective employers that you do know how work works and that you are able to drag yourself out of bed and function in public for at least some days of the week. Those qualities can help you to stand above your peers on CVs and in applications. To see how to best leverage work-experience that doesn't directly relate to your future field of work, let’s look at two very similar young ladies reaching the back end of uni last year. They were both pushing hard at the job market and shipping out well-worked and quite tightly-focused CVs and applications, chasing professional career-related jobs. Unfortunately, one wasn't winning any interviews and the other was. Let's look at the difference. The first was able to show that she’d been a Sunday employee of a major high-street retailer for the last two years of her degree. By virtue of being on the permanent staff, she’d been through the full induction programme. She’d gained some solid work experience in a professional world. That was a big score, but it didn’t seem to cut any ice with prospective employers. A lot of people were now presenting CVs and applications with just that type of work experience. She wasn't able to mark herself out from her peers. The second young lady fared much better. She’d had it tough. From the start of her degree, she’d wanted to make sure she'd build up high-value work experience whilst studying. She was terrified by press accounts of a dismal job market for graduates and wanted to make herself more employable at the end of her degree. As a result, she’d been highly proactive. She’d worked out the generic skills that would stand her in good stead for the future. She’d decided that part-time retail work was the most accessible way to develop the skills she’d need to make herself saleable after uni. She’d targeted the area’s major employers, like Waitrose, Marks and Spencer and Boots, as they provide quality training and a professional working environment. Researching, she’d discovered that to receive full training, she would need to be taken on to the permanent part-time staff, rather than be employed as a casual. She set out with all guns blazing to achieve that goal and she’d tailored her applications carefully, but was surprised to get repeatedly knocked back. The problem was the volume of competition. It was huge. Everyone, not just students, wanted those same jobs. Also, her experience was limited. She knew that she would stand a better chance if she applied to just any old retailer, but realised that would devalue what she was looking for. She chose to volunteer in a high-street charity shop, part-time for six months. With that valuable experience under her belt, she stepped back into the fray and immediately managed to win her desired post with a professional high street retailer. The result was exactly as she’d planned. She ended up with a very valuable set of skills and experience that firmly supported her applications for a job in engineering. If it were you making a recruitment decision, which of those two applicants would you pick? The good one? Or the good one who’d had the foresight, balls and determination to make things happen for herself, overcome the obstacles and hammer the result home? The second one is the obvious choice; if she hadn’t repeatedly taken the initiative, nothing would have happened. Showing that story (briefly but clearly) on her applications showed that she had oodles of potential. But, how do we know that’s what really made the difference? Because they were one and the same young lady. She was puzzled with her lack of interview invitations and asked me what she was doing wrong. Once she began to show her real character, and those very real underlying character-building achievements, her applications stood out like an oasis in the desert. What’s retail got to do with engineering? Those wider skills she’d developed, especially the team and the people-skills, came up trumps for her in her career-related interviews after uni, as she’d guessed they would. I wish I’d been so smart when I was starting out! Keywords: work experience, career, engineering, retail, training.